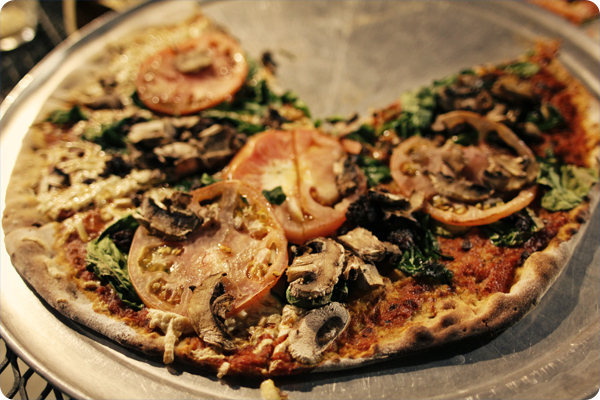 Monday nights are Pizza nights at Green Vegetarian Restaurant. 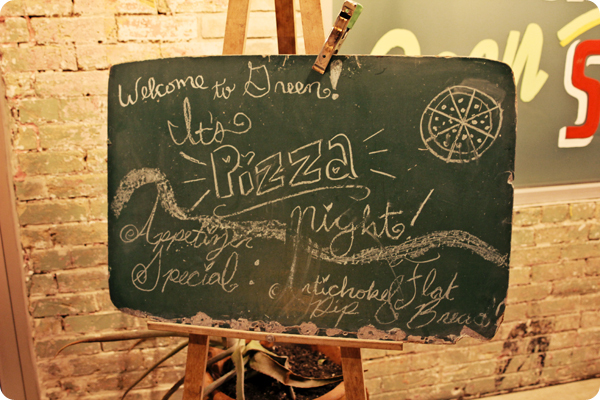 The hubby and I have been to many a Green Pizza Night and have always enjoyed them. It’s a great place to have a Monday night date. 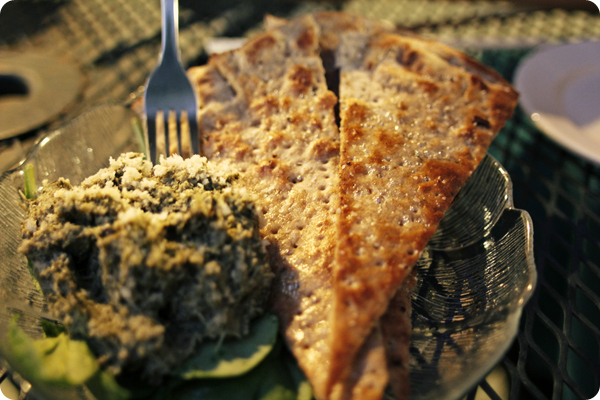 A couple of Mondays ago Green offered an Artichoke Dip with Flatbread that was so delicious. We tend to spoil ourselves when we go to Green since there are few places that offer so many vegan options. The pizza was so good we started eating it before I remembered to take a photo. We order it half with, half without the daiya vegan cheese. I actually prefer cheeseless pizza. We picked tomatoes, spinach, mushrooms and basil as our toppings. Yum. 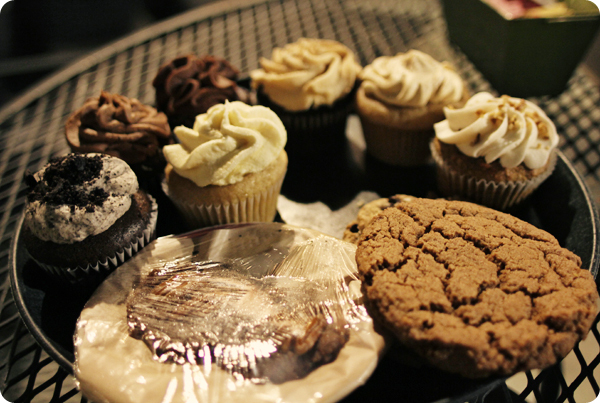 Near the end of the meal you are greeted with a tray of tasty cupcakes and cookies. They seem to have different varieties each time we’re there. We recommend them all! Hope you get to visit Green one Monday night soon! This entry was posted in Local Restaurant Reviews and tagged Pizza, San Antonio, Vegan. Bookmark the permalink.